With the PGA Tour finished for 2008 and the European Tour taking a one week break, there’s just the one top-grade event to bet on this week. The Barclays Singapore Open is the 5th richest national Open in the world, a fact that now enables it to boast by far its strongest field to date, including five the world’s top-20 players. Another bonus is the course, Sentosa, which is regularly rated as one of the Asia’s very best. Indeed, it has been voted “Best Host Venue” by Asian Tour players. Arguably the toughest course in Asia, only five players finished under par here last year with the top-10 separated by a strung out ten shots. Exposed to the wind with narrow fairways and very tough greens, there are disasters lurking on virtually every hole. Everything would appear to suggest that this will be a stern test that favours the very best long games. Previous results would appear to prove that theory. In the three years since Singapore has managed to attract several world stars, they have dominated every time. ADAM SCOTT won the first two, by seven shots from Lee Westwood in 2005, and beating ERNIE ELS in a play-off in 2006. On the latter occasion, even though the tournament was reduced to 54 holes, the two favourites were comfortably ahead of the rest by three shots. Scott also finished 3rd last year in a slightly stronger field, and is clearly something of a course specialist. Until last week, he’d looked badly out of sorts for months, but 6th place in Shanghai was a big improvement and promised much for the weeks ahead. I must admit to feeling a little uneasy to taking single figures about Scott, especially as this course represents a very different test to Sheshan last week. However, given that record at Sentosa and compared to the other big guns in Singapore, he’s still worth a win only saver at 8/1. He certainly makes more appeal than either of the other pair vying for favouritism, with Phil Mickelson particularly representing terrible betting value at just 7/1. These really are skinny odds when considering that he hasn’t won since May, and was beaten by 16 shots on this course last year. Any of his characteristic waywardness will be seriously punished around here. At his best, Padraig Harrington would be a serious factor, but again its hard to justify a bet on his recent form. Pod hasn’t had a good week since winning the PGA in August, and seems unlikely to hit peak form again this year. Els, on the other hand, is a renowned winter performer. Many of his 64 worldwide wins have been accumulated over the close season period, in Asia, Australia and South Africa. After a month’s break, Ernie returned last week to win the King Hassan Trophy in Morocco. While this was a low-grade event, he beat some decent players such as Paul McGinley, SIMON DYSON and Johan Edfors. Ernie says he feels good about his game, and will certainly be motivated to win an event of this stature after a disappointing year. He did show some improved form in the Fedex Cup events in the late summer, finishing 3rd in Boston and 6th in the Tour Championship. Testing golf courses like this tend to suit him down to the ground, and last year’s missed cut at Sentosa can be forgiven as he was ill whilst playing his opening round. KJ Choi always warrant consideration in Asia, but is hard to fancy after finishing a distant 35th last year, especially as he was in the form of his life at the time. The only other member of the world’s top-30 in Singapore, Ian Poulter, very nearly made the staking plan because he seems to have improved as a player of tough golf courses. Charl Schwartzel also came in for very close consideration on the basis of his excellent recent form. His two previous Sentosa appearances, however, don’t offer much encouragement. I could certainly see Monday’s play-off loser Oliver Wilson building on an already decent record in Asia, but odds of 30/1 seem a bit of an over-reaction to his best result in several months. The emphasis on long-game brilliance suggests this course will suit Rory McIlroy, but with three missed cuts from four events played in the region, he must yet prove that he has learnt the art of playing in Asian conditions. Nevertheless, I’d rather back McIlroy than similarly priced candidates Jeev-Milkha Singh or Nick O’Hern, as neither have offered any great encouragement on previous visits to Sentosa. SIMON DYSON used to ply his trade on this tour, has won four times in Asia and generally thrives in the region. On the basis of his recent long game form in Europe, Dyson looks a strong candidate on his Sentosa debut. Top-7 finishes in Southern Europe last month were good efforts, and he seems to have maintained it with second place behind Els in Morocco last week. While Asian Tour regulars have struggled to make an impact in this event recently, several of their number take the eye this year at very big prices. A transformation in status usually takes place around this time of year as the Tour shifts to a different continent. There are several middle-ranking Europeans who never seem to carry their form over to the different continent, largely due to the humidity and different types of rough and greens. Equally, because the top Asian players rarely produce their best in the European summer, they often start their favourite time of year at vastly inflated odds. For instance, the likes of JYOTI RANDHAWA, MARK BROWN, Thaworn Wiratchant and Shiv Kapur are all available in three figures despite being regular contenders in the big Asian events. Any of those four could win in the weeks to come, and I expect to see their odds tumble. All have good course form to their name and would only need a small improvement on previous Sentosa efforts to make the places. Preference is for Randhawa and Brown, both of whom can look top-class in this region. We’re used to seeing Indian star Randhawa at much shorter odds in Asia, but understandably bookies found it hard to make a case on his poor European efforts. It would be no surprise to me though, were Randhawa to step up on last year’s 8th place on this course. Brown was a revelation last year, winning two events and making eight top-10s from 12 Asian appearances. The Kiwi star never made the successful transition to the big European events that those efforts earned a crack at, but interestingly when returning to Asia last month he immediately bounced back with a pair of top-10s. Brown hit over 70% of his greens in regulation last week at Sheshan, a promising sign for this week’s tough course where he finished 8th last year. 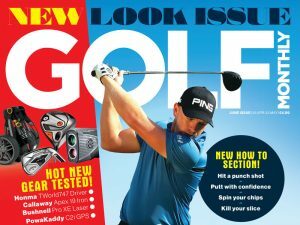 Check out the December issue of Golf Monthly for a comprehensive review.